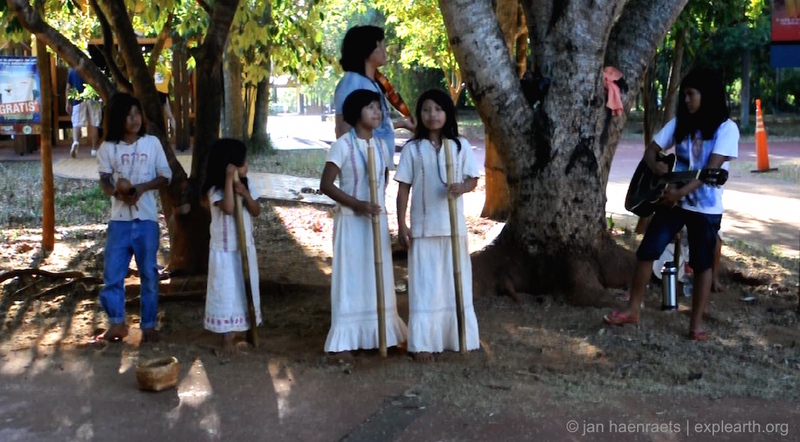 My favourite chant at the Iguazu Falls, on the Argentine side, by a troupe of local buskers. They were jolly, but visibly tired at the end of a warm day. 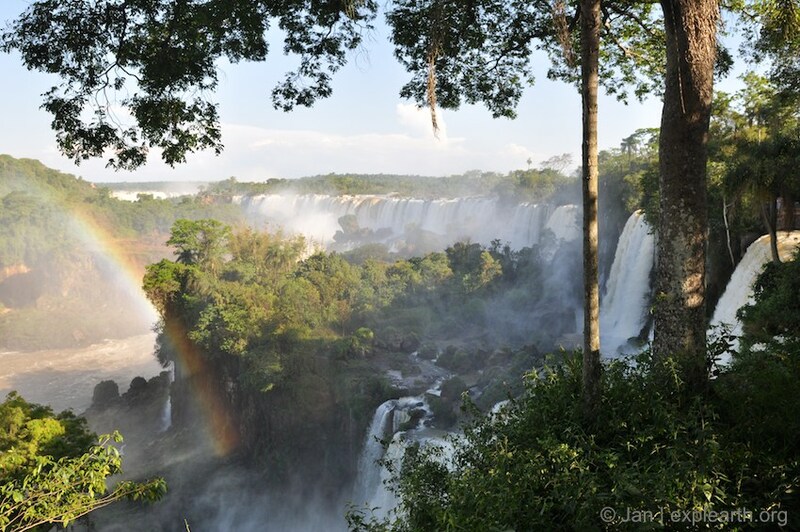 Visiting the Iguazu Falls, experiencing the scale of the falls and cataracts and the thundering sounds, together with the natural setting of the subtropical Alto Paraná Atlantic forest, is a mind-blowing experience. At the end of a day, the beautiful songs by this group captured for me the happy and magic mood that surrounds the falls. The two girls beautifully carried the song, the little one was ‘hanging in there’, and the young boy is maybe the funniest one of all. He was preoccupied eating a snack and funnily walked away towards the end of the song (just to throw the wrapping in the bin, and luckily, he returned). It has become one of these tunes that linger in my mind and is associated with a magical place. If you ever get yourself a canoe, and intend to slice a river, this certainly is the best result you can get.